I’ve written about how I use Autodesk Sketchbook Pro on my Windows-based Lenovo X220 tablet PC (which is a Proper Computer and everything, so I can run all sorts of other stuff in addition to drawing on my screen). To make things even easier, I’ve put together the light dot grid that I use for drawing consistently even when I’m zoomed in, a PSD that has the grid, and the brushes that I use to draw different widths easily. You can download the ZIP of the resources from http://sachachua.com/sketchbook-resources. They’re best used with Autodesk Sketchbook Pro (desktop version), but you can probably adapt them for use in other apps. 1. 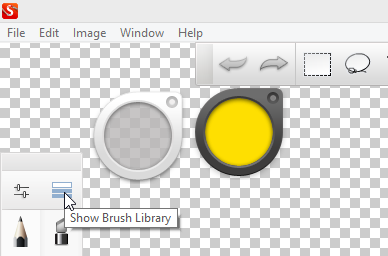 Open the brush palette if it is not yet visible. 2. Open the brush library by clicking on the icon of the three bars. 3. Use the radial menu to import the brushes. 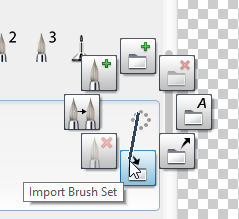 You can create a new brush set if you want, and then import the brushes into that. 4. Drag and drop the brushes into your brush palette (the long vertical one) in the order you want. I use the first three pens for small, medium, and large widths. The largest pen is useful for colouring. I keep it there so that I can change the size easily without messing up the other three pens. I usually use the highlighter on a separate layer so that I can change my mind about highlighters afterwards, but if you need to highlight as you go, you can use the second highlighter (based on the Copic brushes) to highlight on the same layer. Again, you can download these free/pay-what-you-want resources from http://sachachua.com/sketchbook-resources . Enjoy! Thanks to Tom Diaz for nudging me to publish these!